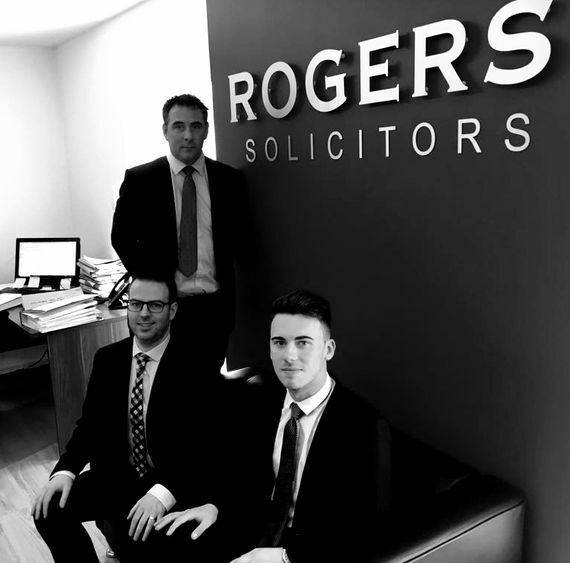 Rogers Personal Injury Solicitors is a leading personal injury* law firm, based in Dublin 2 and offering a nationwide service. Personal Injury* is the only area of law we deal with, which means we know this area extremely well. Our clients come to us because of our excellent legal service and approachable manner. Ciaran Rogers - Founder and Principal of Rogers Solicitors. Ciaran has been providing expert legal advice for a decade now and is well known as an expert in the field of Personal Injury Litigation. Ciaran talks to his clients in plain English and will put you at ease from day one. Outside of the office Ciaran spends as much time as he can with his wife and baby daughter, and has a keen interest in anything sports related. Niall McShane - Niall joined the firm after working as a Solicitor in one of the UK's largest law firms. Niall deals with high value personal injury claims, mostly workplace accident claims and road traffic accident claims. Niall ferociously fights each and every cases and is known for obtaining high value settlements. Outside of work Niall attends the gym on a daily basis and is a huge fan of Celtic Football Club. Ruairi Maguire - A rising star. Ruairi deals with a wide range of employers’ liability cases, road traffic cases and medical negligence cases. Clients call the office and now and specifically ask to deal with Ruairi, due to his exceptional communication skills. This says it all really. Ruairi's main passion outside of the office is music and has been known to perform live gigs in years gone by. At Rogers Personal Injury Solicitors, we understand that there are many different companies out there offering personal injury* services. We are known as one of the leading firms in this area and clients choose us for a number of reasons. We deal exclusively with personal injury* cases and because of this we know the law inside out. We have built up a wealth of experience in the industry, dealing with cases through the Injuries Boards and the courts should the case progress further. We have built up an excellent network of barristers and medical experts, all who can help us to achieve the most desirable outcome possible. At Rogers Personal Injury Solicitors, we are known for the excellent level of service that we provide to our clients. We understand the law in detail and can explain everything to you in language that is clear and relatable. We update our clients every week on the progress of their case. This keeps you informed every step of the way. All calls, emails and texts are answered straight away, so you know we are contactable all the time. Our clients feel like theirs is the only case we are dealing with. Our expert legal team will do everything they can in order to progress your case. Each and every member of our team is a friendly, down to earth person who is easy to speak with, no confusing legal jargon. Obviously legal firms always strive to deliver the achievable outcome. At Rogers Personal Injury Solicitors we are known for our excellent results. We know that an accident can turn your whole world upside down, which is why we aim to get you the justice you deserve.